“Phantom Thread” costume designer Mark Bridges won both an Oscar and a Jet Ski at the 90th Academy Awards. In his opening monologue, Oscar host Jimmy Kimmel announced that a Jet Ski worth nearly $US18,000 would be given to the Oscar winner who gave the shortest acceptance speech. “Phantom Thread” costume designer Mark Bridges had arguably the most impressive night of anyone at the 90th Academy Awards on Sunday, taking home both an Oscar and a Jet Ski worth $US18,000. 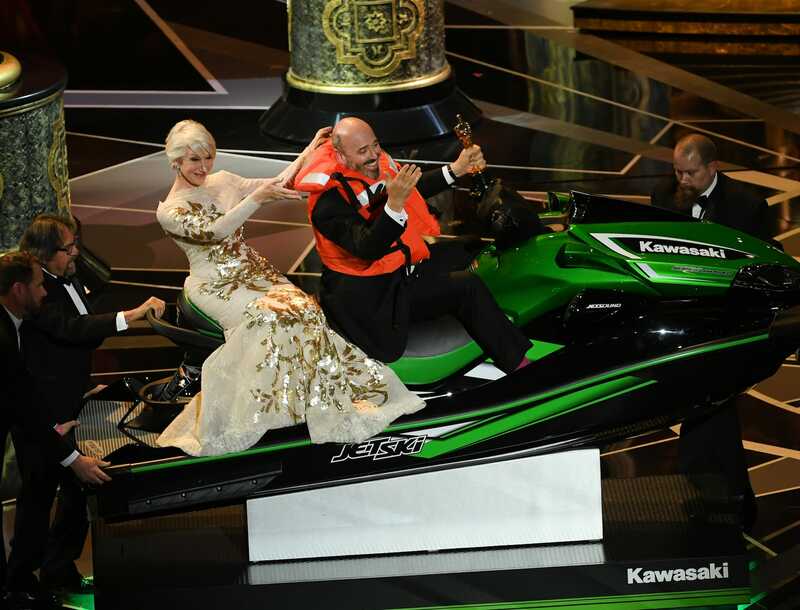 In his opening monologue for the ceremony, Oscar host Jimmy Kimmel offered up the Jet Ski as a game-show-like prize to the Oscar winner who gave the shortest acceptance speech. Kimmel held a stopwatch, saying, “I will be timing you,” while actress Helen Mirren showed off the Jet Ski in the manner of a game-show assistant. Numerous winners, including Jordan Peele (winner of best original screenplay for “Get Out”), jokingly mentioned the Jet Ski as they began their speeches. But Bridges ended up giving the shortest speech at 36 seconds. 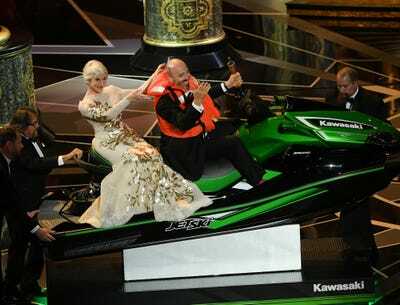 As the ceremony closed, Bridges got on the Jet Ski with his Oscar in hand and Helen Mirren sitting behind him. Bridges took home the only Oscar for Paul Thomas Anderson’s “Phantom Thread,” which was nominated for five other awards, including best picture.